All the major stats and facts from the fifth day of fifth Test match between England and India at The Oval. 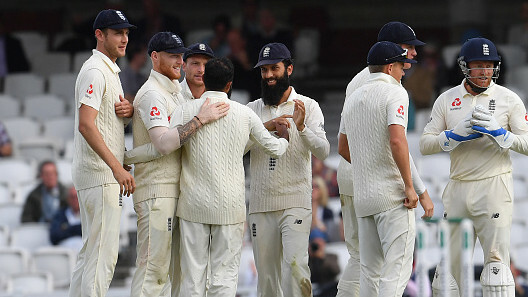 England beat India by 118 runs in the fifth and last Test match at Kennington Oval in London and won the series with 4-1. On the fifth day, India resumed batting on 58/3 and lost both Ajinkya Rahane and Hanuma Vihari in the morning session and reduced to 121/5. 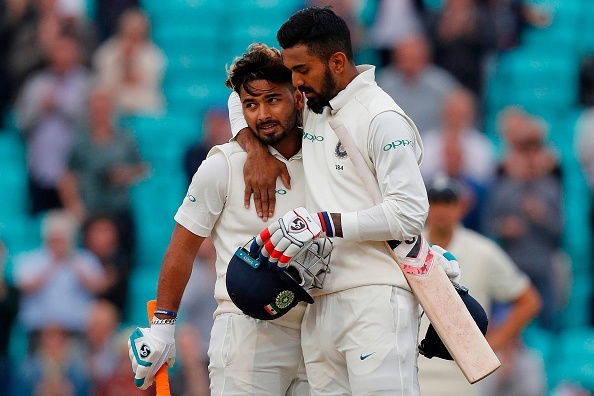 KL Rahul (149) and Rishabh Pant (114) completed their respective hundreds and their 204 runs stand for the sixth wicket brought India back in the game and also gave a little hope of a historic chase but Rashid removed both KL Rahul and Rishabh Pant in the last session. James Anderson took the final wicket of India's innings and sealed 118 runs win for his team and also broke Glenn McGrath's 563 wickets record and became the leading wicket-taker among the fast bowlers. 4 - Rishabh Pant is the 4th Indian player to reach his maiden Test hundred with a SIX. 7 - Rishabh Pant also became the first Indian and seventh overall wicketkeeper to score a hundred in the 4th innings of a Test match. 8 - Alastair Cook became the 8th player to receive Man of the Match award in the last Test match of career. 149 - KL Rahul's 149 is the second highest individual score for India in the 4th innings of a Test match. 204 - KL Rahul and Rishabh Pant's 204-run partnership for the 6th wicket is the second highest partnership for any wicket for India in the 4th innings of a Test. 564 - James Anderson with 564 wickets become the leading wicket-taker in Test cricket among the pacers. He surpassed Glenn McGrath's tally of 563 wickets.